The queen eats her bananas with a knife and fork, but that's nothing compared to how she eats pears! A lot of attention has been paid to how and what the royals eat, from the Duchess of Sussex's favorite foods to the many dishes the royal family enjoys around the holidays. But the daily dining habits of Queen Elizabeth are perhaps the most closely examined tidbits of royal food fodder around. It turns out that the queen, and the entire royal family, have a curiously elegant way of eating the most normal of fruits. Chef Darren McGrady worked in Buckingham Palace as the queen's head chef from 1982 to 1993. From 1993 to 1997, he served as a chef for the late Princess Diana, Prince William and Prince Harry. In that time, he amassed a great deal of knowledge not only about the royal family's favorite foods, but also the ways in which they eat them. “I am often asked what the royal family have for dessert and people are surprised when I say fresh fruit,” McGrady told TODAY Food. “That’s because what Americans call dessert, the royal family call pudding. At a banquet, McGrady explained, four types of fruit are usually served after the pudding course. But the fruit is eaten very politely, and no hands are permitted to touch it. “They [anyone present at the royal banquet] have a dessert knife and fork, a small plate and a finger bowl of water ... which some guests have been known to drink,” said McGrady, who now lives in Dallas, where he now runs his own catering company, Eating Royally. Per royal protocol, said the chef, food at formal events should never be eaten by hand. Many etiquette experts currently teach classes about how to consume trickier items with a knife and fork. While the type of fruit served varies seasonally, McGrady said the platter often includes options like bananas, apples, pineapples, peaches, grapes and pears. “Grapes are the most popular as they are the easiest to eat and cut into smaller bunches of four or five grapes,” said McGrady. 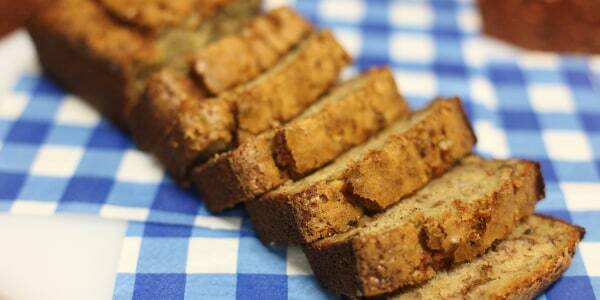 But with their pesky peels, bananas are perhaps the trickiest of fruits to eat in royal company. So how, exactly is one supposed to eat a banana with a fork? First, the ends of the banana are cut off. Then the banana peel is "sliced down the middle" from end to end so the unpeeled fruit can be opened. Then, the tough peel is carefully opened and the fruit itself is sliced into circles and eaten with a fork, explained the chef. 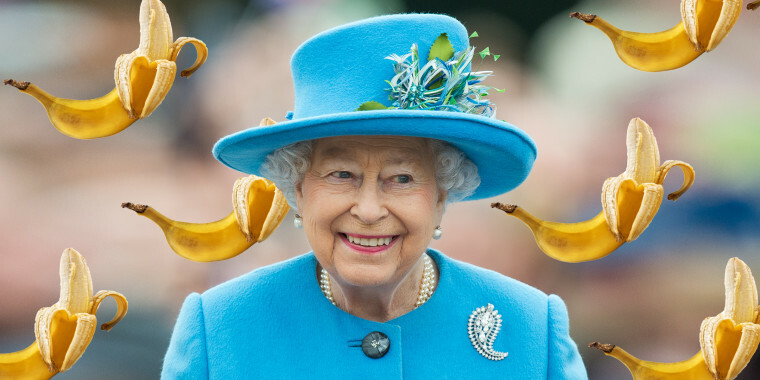 While some may think it's unusual that the queen eats her bananas with a knife and fork, she’s not the only member of the royal family who exhibited an unusual habit toward the fruit. “[Princess Anne] almost always preferred the bananas almost black — over ripe — because they digested easier,” McGrady revealed. Queen Elizabeth bans a favorite food of the Duchess of Sussex: Pasta! Pineapples got special treatment, as well. “Pineapples are hollowed out, sliced and then put back into the pineapple so they can be lifted out with a fork and eaten with a knife and fork,” McGrady said. Even the dessert bowl itself was extraordinarily fancy: the leaves garnishing the platters would be picked from the garden and each individual leaf would be polished by hand.